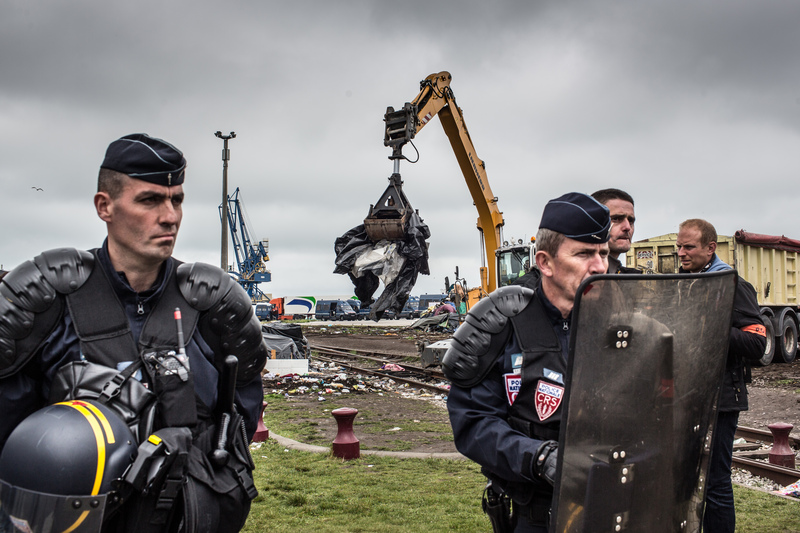 Today more than 300 police descended on Calais to evict three tent camps in the city centre which have existed since last October: the «Syrian camp», which was set up following the occupation of the port, the «Eritrean camp» under the bridge, which was established after the eviction of their squat, also in October, and a smaller camp close to the food distribution. 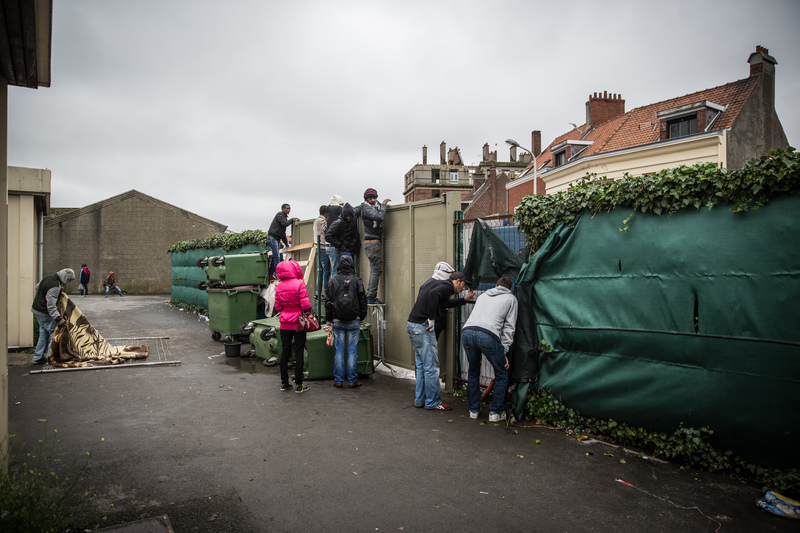 Together these places were home to around 650 people in Calais. 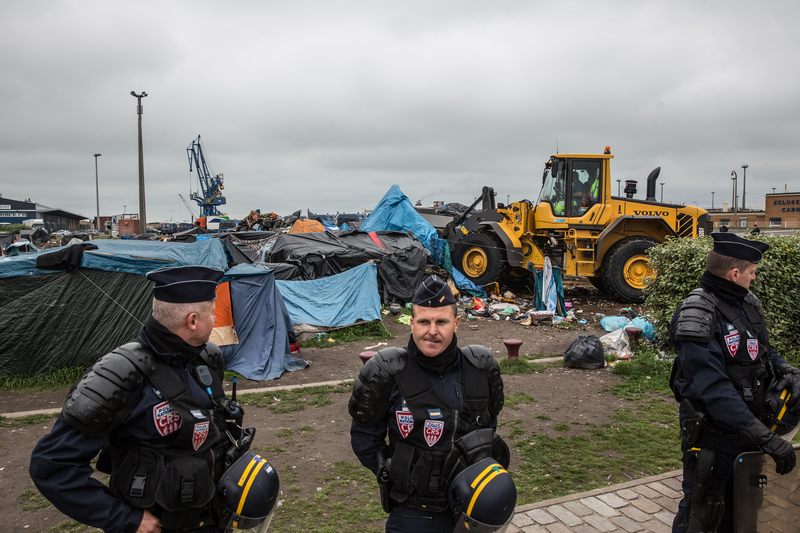 The state has tried to disguise this police operation as a humanitarian intervention, citing scabies and poor sanitation to justify destroying people’s homes without providing them with any alternative solution. 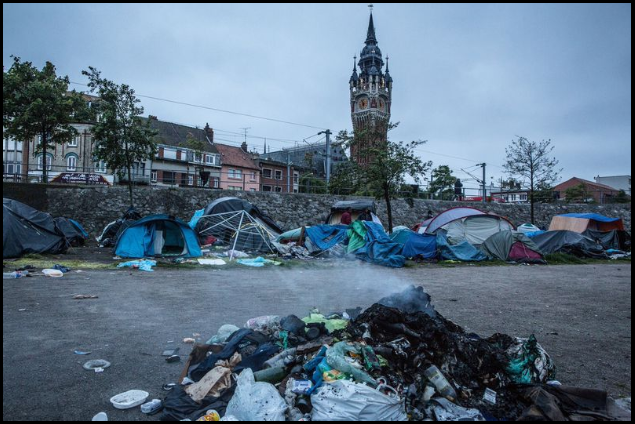 They neglect to mention that these problems exist only because they have forced people to live in very crowded conditions without regular access to toilets, showers, or places to wash their clothes and bedding. They legitimize the paternal intervention of the state by painting a picture of migrants as diseased and unable to care for themselves, rather than accepting responsibility for creating the circumstances which have caused these problems. 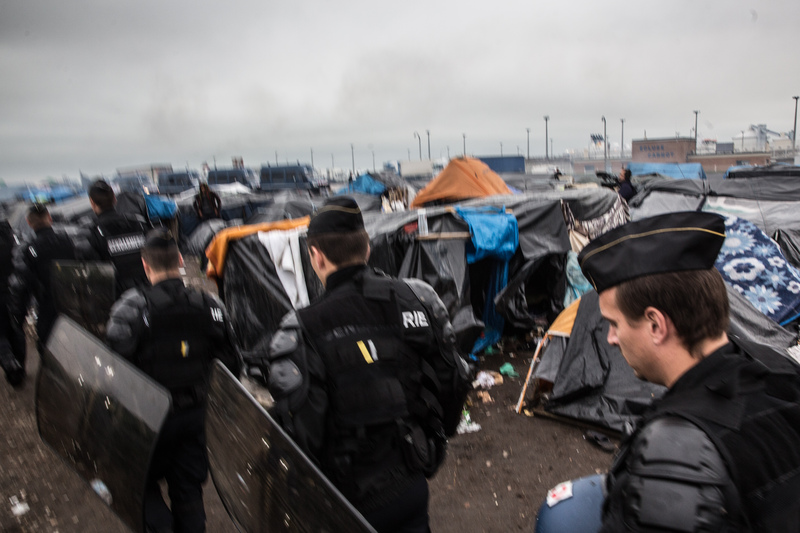 The humanitarian veil over this police eviction could not have been thinner. Last night at food distribution, nurses from the hospital arrived to distribute scabies medication to those who wanted them. The scene more closely resembled street pushers trying to convince passers-by to buy drugs to stop the itch than free patients consenting to a medical treatment. Understandably, many people were hesitant to swallow unknown tablets for a medical condition which they may not have under the watchful eyes of the police, just a day before they would be kicked out of their homes. The second part of this humanitarian operation did not go much better for the prefecture. Today, after the camps were cleared of inhabitants, buses arrived, supposedly to take people to have a shower and receive clean clothes and blankets. Once again, translators were busy trying to convince everyone to get on board, but without a word about what would happen after the humanitarian activities had finished. Hardly anyone went and many times the translators and authorities themselves were told to “Go take a shower!” themselves. 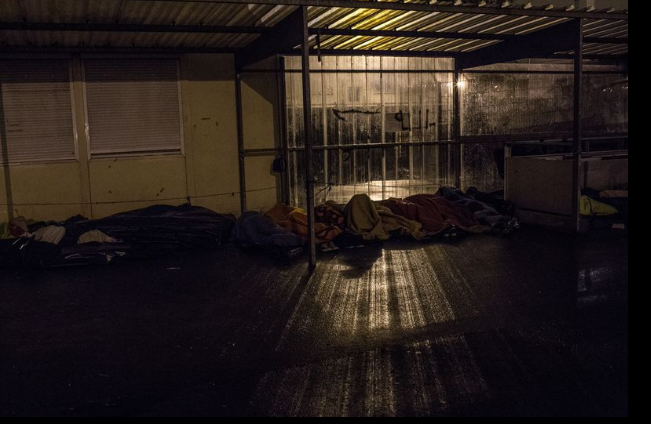 Afterwards, two people who accepted were taken to a homeless shelter 150 km from the city. In preparation for the destruction of their homes, a large number of people moved occupied the SALAM food distribution area Monday night. 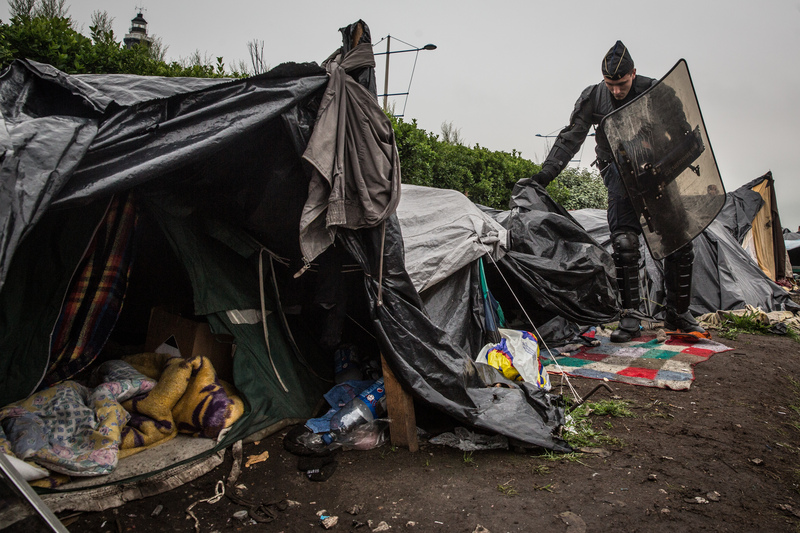 Today, as the evictions took place, more and more people brought their belongings inside, intending to stay there. Fearing that police might try to break in to evict and arrest the people staying there, they barricaded the entrances. Riot police attempted to enter the grounds by cutting through the fence surrounding SALAM in two places and forcing their way in. 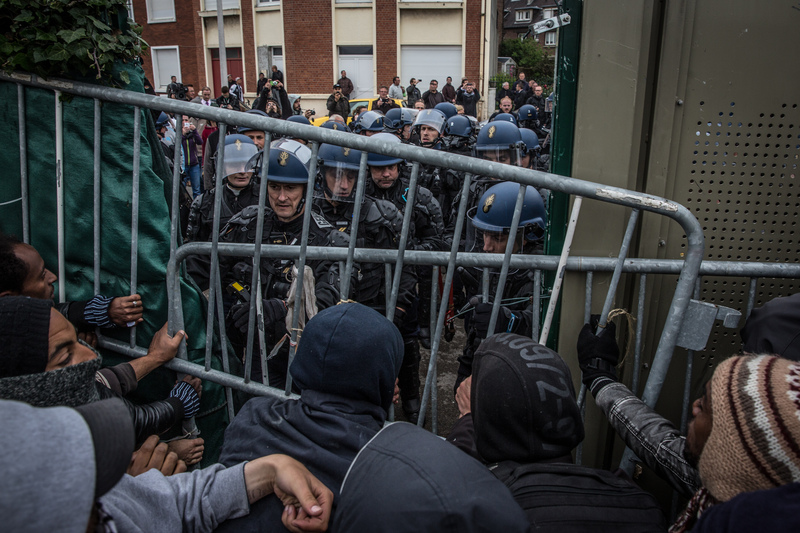 On one side, they were repelled by people coming together to barricade the hole they made; on the other side, the police managed to get in but were immediately surrounded and expelled. Cries of «We are human! You are animal!» and «No Police!» sent them on their way. 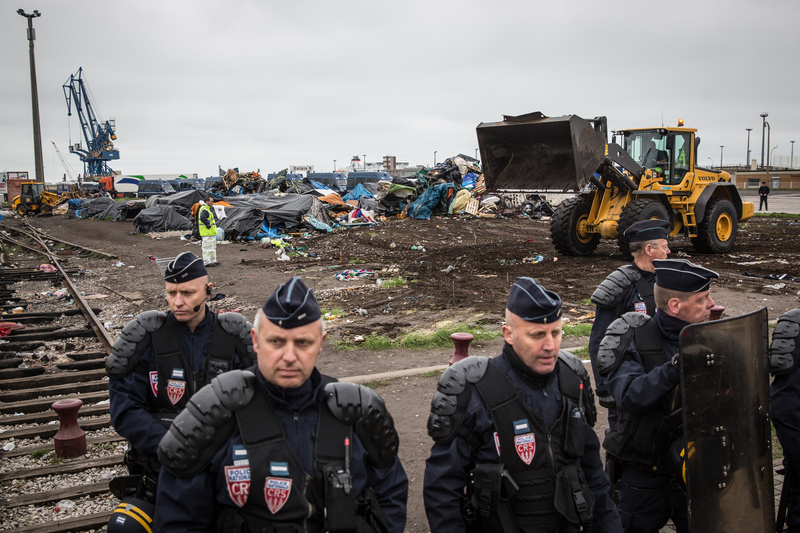 After seeing the strength of the resistance and the difficulty they would have getting through the barricades, the police retreated and made no further attempts to enter. 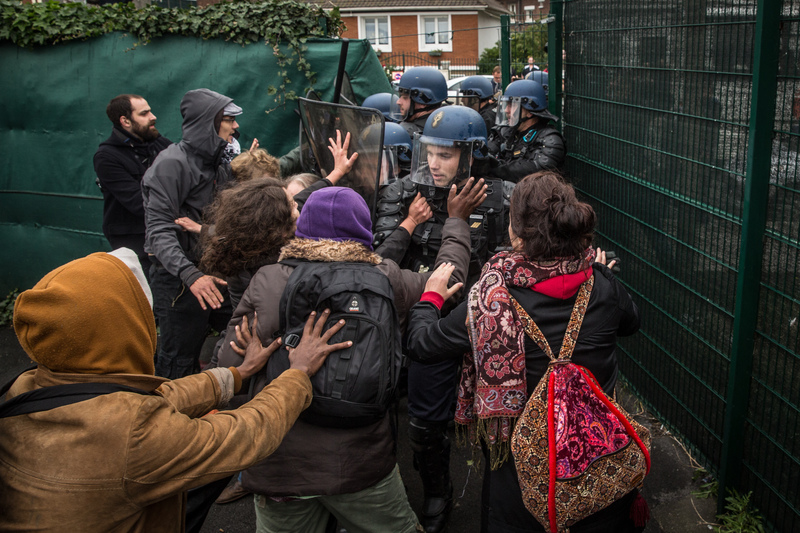 As we learn to fight together across lines that power exploits to divide and rule, we become stronger and better able to resist future attacks on the autonomy of communities here in Calais. The empowerment which comes from successfully resisting a police attack after so many experiences of humiliation and dehumanization at their hands will not be easily forgotten and will be a source of inspiration and strength for us in the future. Soon afterwards, representatives of the Prefecture came to negotiate. The occupants demanded to continue their occupation of SALAM the following day and to be given a space to build a camp without fear of police harassment. Moreover, they demanded the construction of showers, toilets, and other sanitation facilities, so that they could live in health and dignity while they are stuck at the border. In the end, the state conceded that they would not send police to evict the space for the next few days, but asked people to leave by themselves and move to areas outside the city centre. 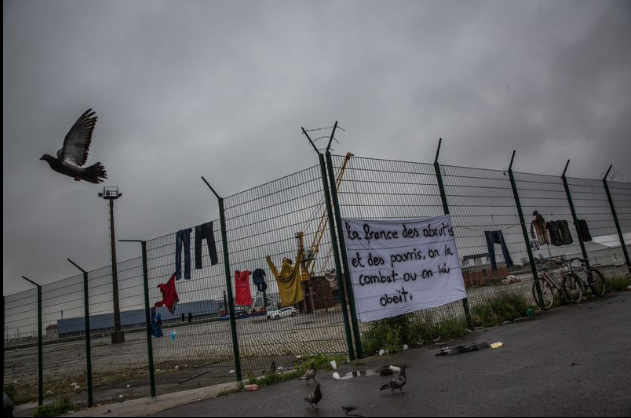 They made no promises about police interventions, only vaguely suggesting that if people stayed in smaller groups outside Calais, they might be able to stay for a while. It is obvious that the police want to isolate people in remote places where they will be vulnerable to attacks without fear of public monitoring. 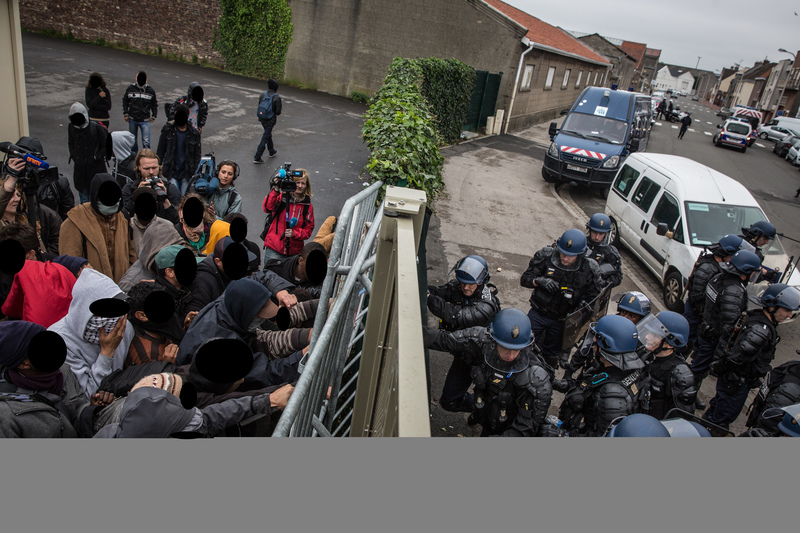 This is a scenario that the people who have been living in the jungles on the outskirts of Calais have known now for a long time. What is clear from today is that the state is doing all it can to sweep these people under the rug, without anyone seeing them directly perpetrate this violence. 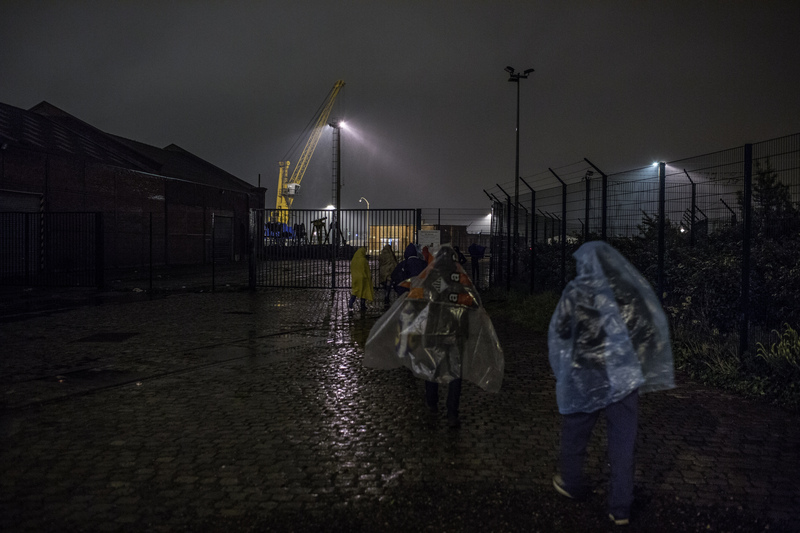 Behind all the lip service paid to humanitarianism stands only the state’s attempt to render these people and their struggle for dignity in Europe invisible and to remove from the public eye the fact that so many people are forced to live against their will in such a hostile and inhumane environment. 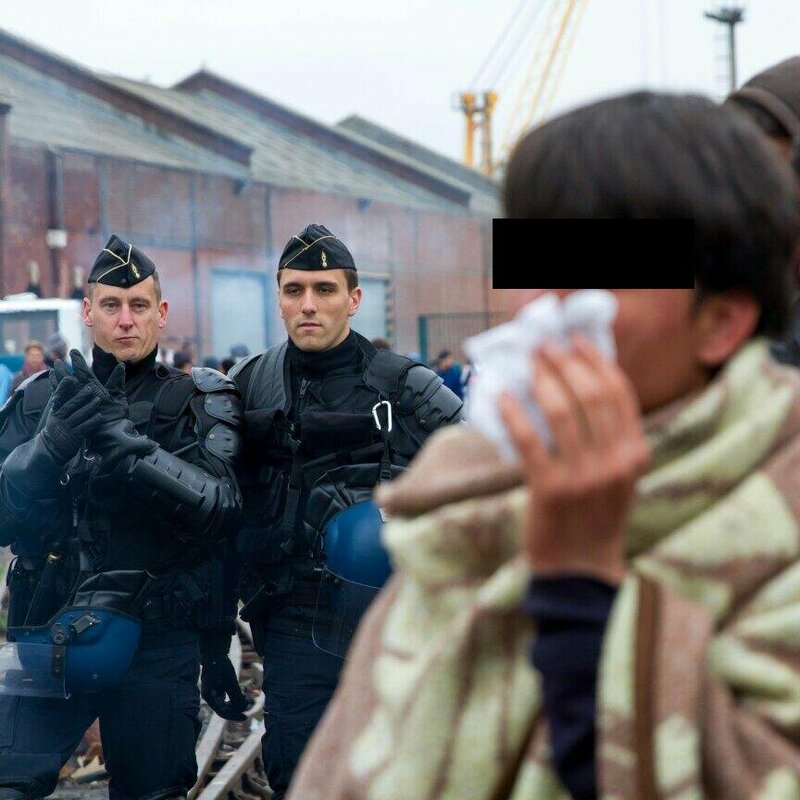 The contradictions lived through every day by people fleeing danger in their own countries (often as a result of or exacerbated by Western humanitarian interventions) only to be illegalized, despised and dehumanized in France, a country that espouses its commitment to human rights, are too great to be described. 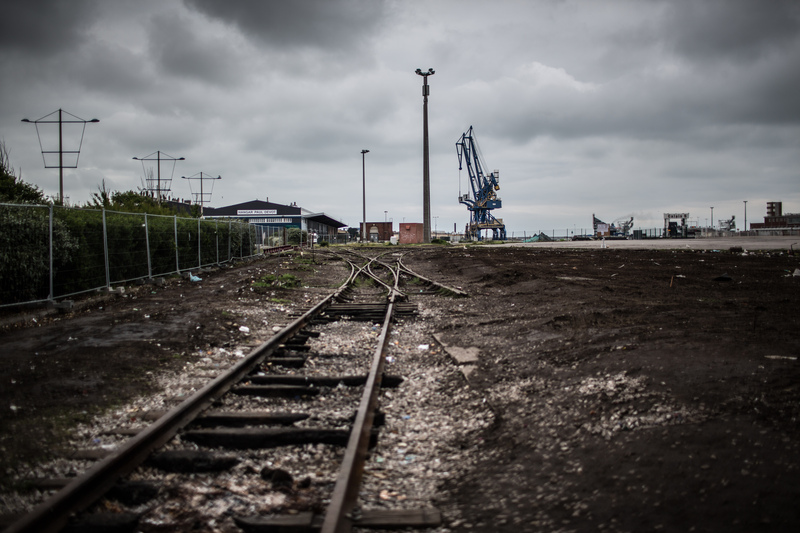 The violence of Europe’s border regime must be invisible. In order to hide their hypocrisy, they offer only a single choice: slip away quietly or be pushed. But the struggle continues. The three squats taken in February are evictable this Friday the 30th (also the date that was hinted at by which people need to be out of SALAM) and we expect another swift and violent eviction without the least effort to solve the housing crisis. 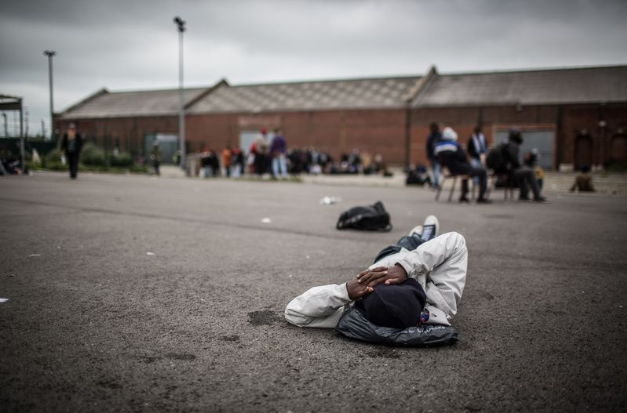 By the end of the week, the government wants to have all migrants and refugees living out in the streets without shelter, hunted by police, and frightened enough to leave the city for good. But the people are strong, as they have shown here for more than ten years. They will not simply disappear. They will resist and continue their journeys, regardless of the harassment and the hardships which they face. Photos by Gustav Pursche, visual-rebellion.